Meat, pasta, dessert, and more! (SPOT.ph) It’s that time of the year again—when everyone from balikbayan cousins to your high-school BFF to your nosy aunt comes together to set aside differences and celebrate the season. Eating and bonding go hand in hand of course, and it’s a great way to explore Manila’s ever-growing dining scene. 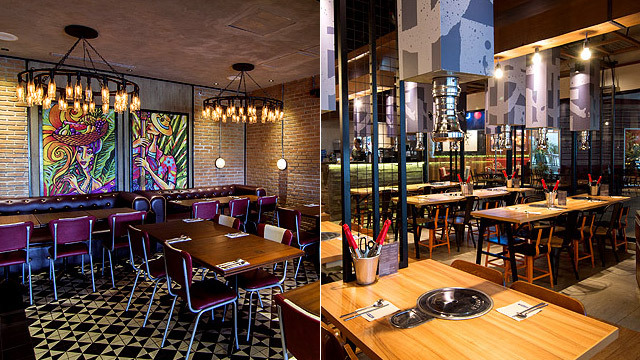 Whether you’re hosting a casual catch-up session or looking to gorge like there’s no tomorrow, there’s a restaurant for every kind of get-together. Here are a few of our favorites. Mighty Quinn’s is at 3/F Mega Fashion Hall, Mandaluyong City. It goes without saying that it’s hard to go wrong with Filipino fare; our food is pretty much made for sharing. Their contemporary take on Filipino classics—think Lamb Curry Kare, Pancit Sisig, and Salted Caramel Sans Rival—is one of the few that still manages to do tradition justice. Better yet, their dishes come in small, medium, and large servings. It’s the perfect place to take balikbayan friends this holiday season. 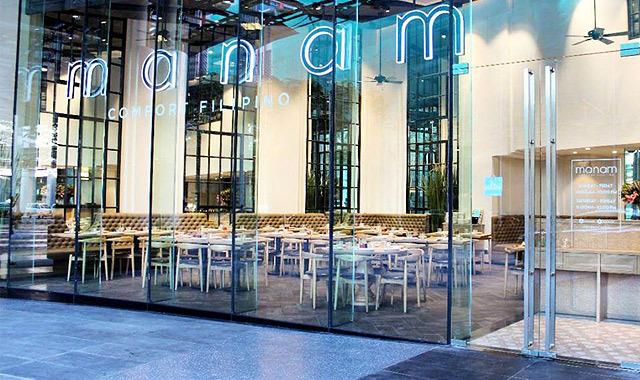 Manam has branches at 27th Street, Bonifacio Global City, and Greenbelt 2, Ayala Center, Greenbelt, Makati City. 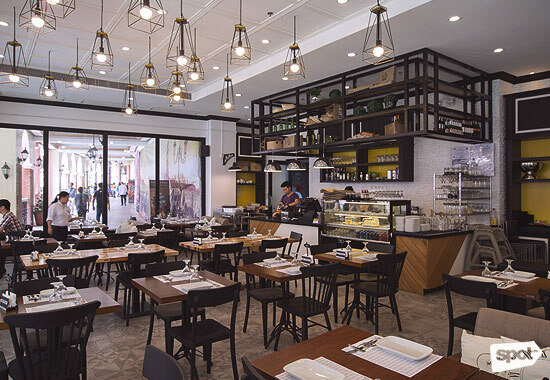 Manila is no longer a stranger to Latin American food, and Naxional offers a diverse selection that very well represents the continent of South America. They’ve got everything from small bites, to all-day breakfasts, grilled meats, entrees, and desserts (care of Venezuelan native and Lifestyle Network host Cynthia Patos, no less). 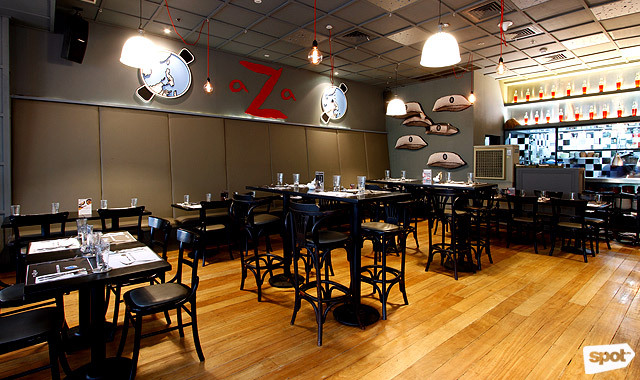 The cozy diner setting serves as the perfect backdrop to your loud, crazy conversations. 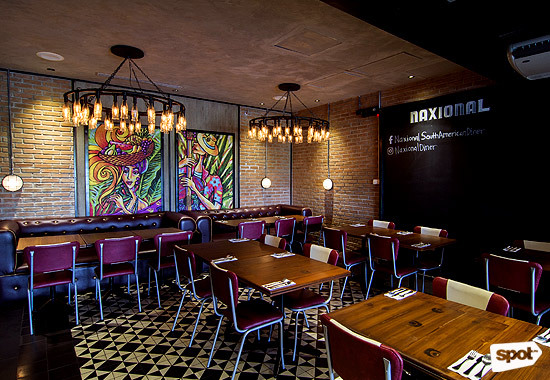 Naxional South American Diner is at 2/F Uptown Parade, 9th Avenue corner 38th Street, Uptown Bonifacio. A diner by day and watering hole by night, The Stockpile presents a happy mishmash of different cuisines and updated classics. Comfort-food favorites come well-represented, but their brick oven-baked, sourdough-based pizzas are a standout. With craft beer on tap and a good selection of cocktails, you and your pack are bound to have a good time. 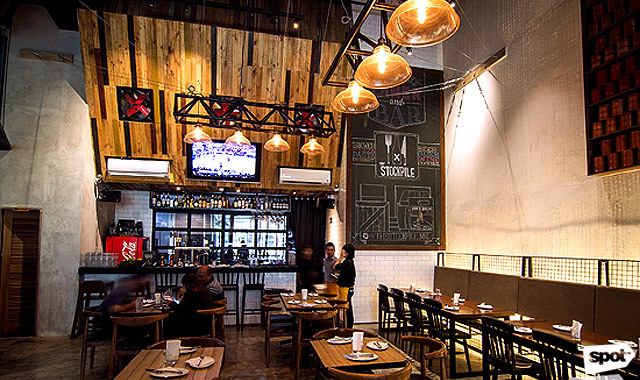 The Stockpile is at The Sapphire Bloc, Sapphire Road, Ortigas Center, Pasig City. 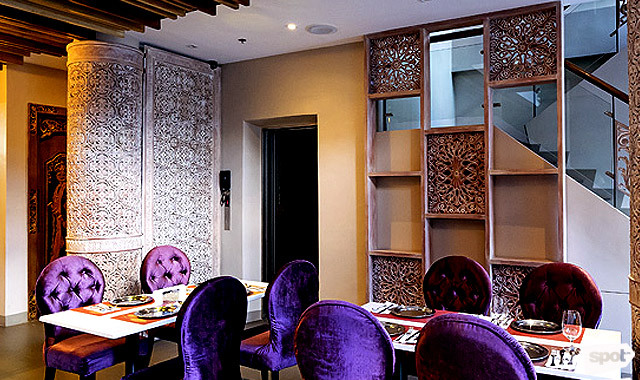 From its intricate door to its plush purple chairs, the Royal Indian Curry House (or more fondly known as R.I.C.H.) is as exotic as it is chic. The best way to make the most of their extensive menu is to dine as a group and try as many dishes as you can. There’s a vegetarian section, too, with dishes no less flavorful than their meaty counterparts. Step out of your comfort zone here—a glorious plethora of flavors awaits. Royal Indian Curry House is at 5345 General Luna Street, Poblacion, Makati City. Arrozeria is Vask’s laid-back sister, where family-style dining (not to mention, stuffing yourself silly) is more than welcome. Paella is the star here, with five variants available in 12” (good for two to three), 15” (good for four to five), and 18” (good for six to eight) paellera sizes. Whichever you choose, they’re perfect paired with any of their new sharing boards, each of which come with a medley of different proteins. Don’t forget to order a carafe of sangria; it’s a great accompaniment to a night of laughter and stories. Arrozeria is at Bonifacio High Street Central, 7th Avenue, Bonifacio Global City. What’s more fun than eating with good company? Actually cooking your food together, too. Koreans, like Filipinos, love to dine in groups. Sample different sets and flavors—Soban offers a variety of meats and six marinades to choose from. The younger set, on the other hand, will appreciate the more modern dishes inspired by the Korean food evolution around the world—think Korilog bowls, Kimchi Fries, and K-Tacos. Soban K-Town Grill is at 2/F Eastwood Mall, Libis, Quezon City. While it’s not quite the blazing-hot trend it once was, Italian will always be a crowd pleaser. 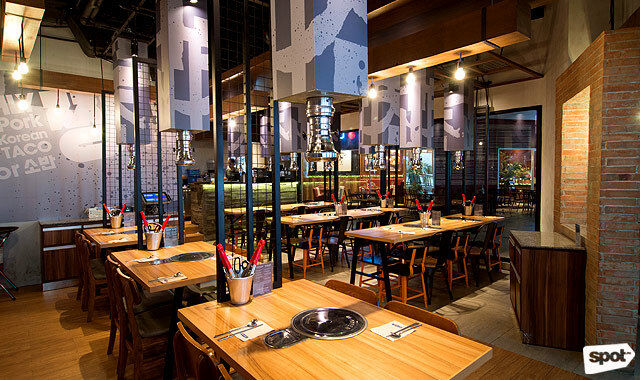 The new Molito branch boasts 92 dishes on the menu, including pizza, pasta, and mains good for sharing. For something different, try the Tiella di Pesce: an Italian take on Spanish paella with your carbs and your proteins all on one generous plate. 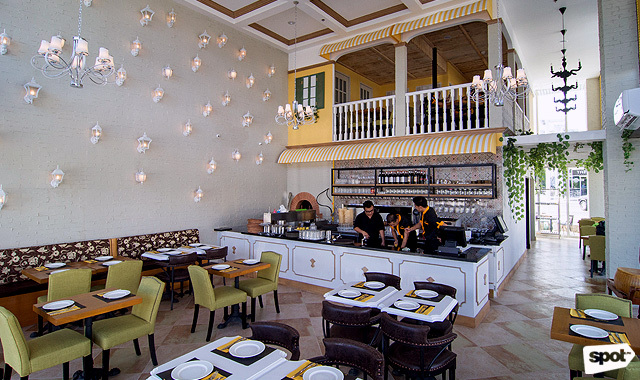 Parmigiano Ristorante Pizzeria has branches at Resorts World Manila, Newport City, Pasay City, and the Molito Commercial Complex, Madrigal Avenue corner Alabang-Zapote Road, Alabang, Muntinlupa City. 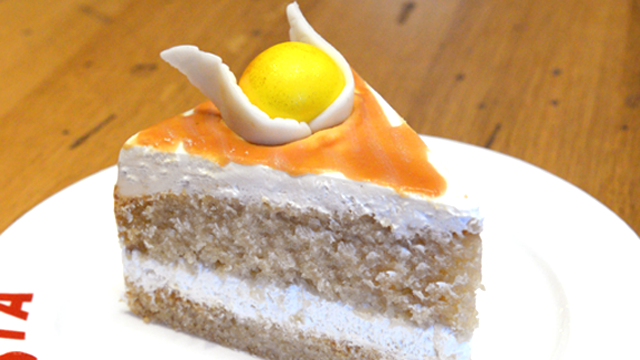 For the adventurous barkada, look no further than Rice & Dough. Sushi and pizza come together at this carb wonderland, making for a diverse menu of flavors from around the globe. 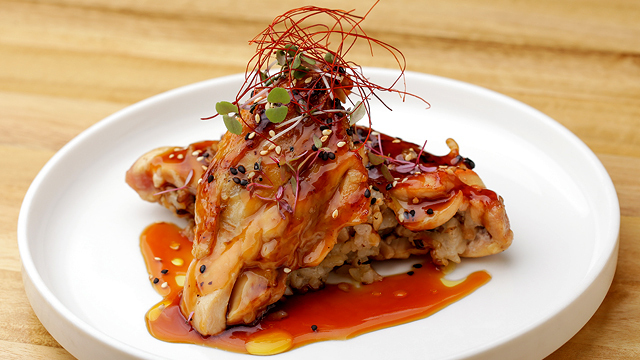 Owned by the same folks behind the successful Torch restaurant, you can expect playful dishes with just the right amount of crazy—but they’re all sure to please. A true showstopper for the gang to enjoy is their World War Roll, which literally arrives at the table in flames. 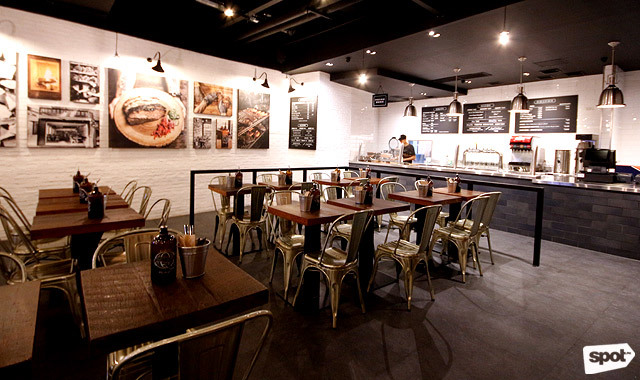 Rice & Dough has branches at Venice Grand Canal Mall, McKinley Hill, Taguig City, and G/F Eastwood Mall, Libis, Quezon City. At this Las Vegas-hailing sweets wonderland, servings come huge and proudly flamboyant. Their savory offerings are not to be missed; they offer an extensive menu with brunch, hefty mains, and other crowd-pleasing munchies. But—as their name would imply—the desserts here are glorious. Take your pick (if you can!) from their mammoth sundaes, towering milkshakes, and crazy-colorful plates of cake. And don’t forget about their Goblets: 60 ounces worth of their signature cocktails, in case you needed a bit of booze to fuel all that sugary goodness. 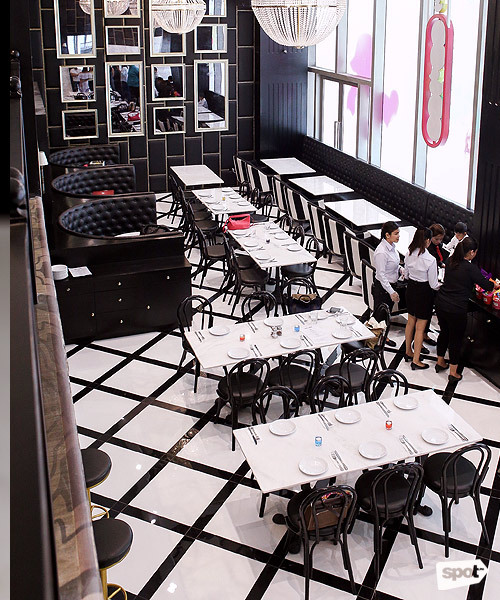 Sugar Factory is at Shangri-La at the Fort, 30th Street corner 3rd Avenue, Bonifacio Global City.